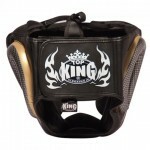 Top King head guards from their “Empower Creativity” series. 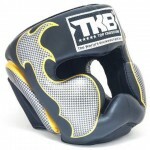 Provide excellent protection around the head, ear, cheek and chin area. Lace up and Velcro enclosure system for a secure fit that prevents shifting. 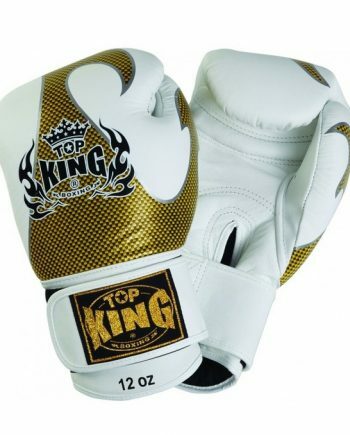 Select your color and size preferences below.. 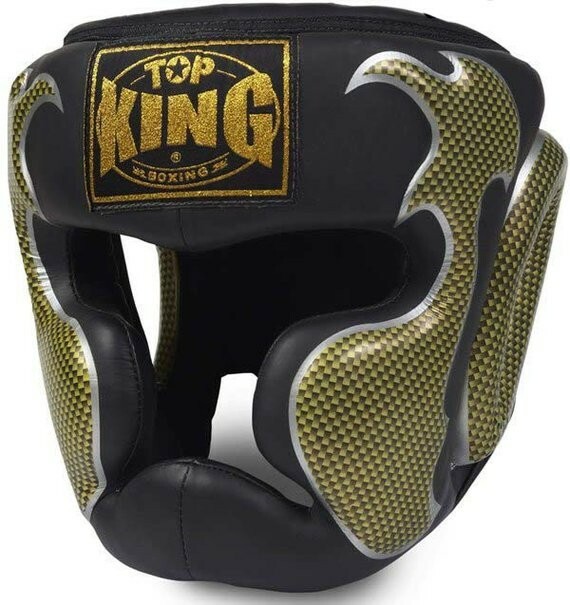 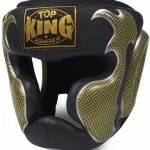 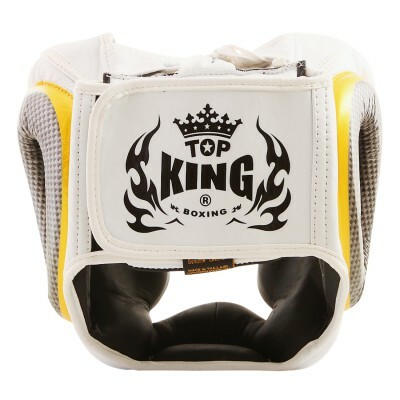 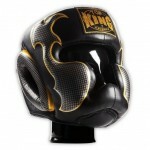 These are the head guards in the “empower creativity” series by Top King. 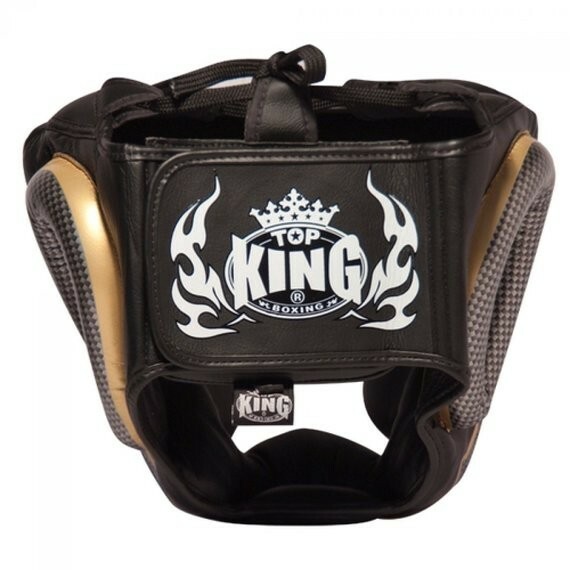 If you’re sparring hard, you absolutely need high quality headgear if you care about your health and long term cognitive function. 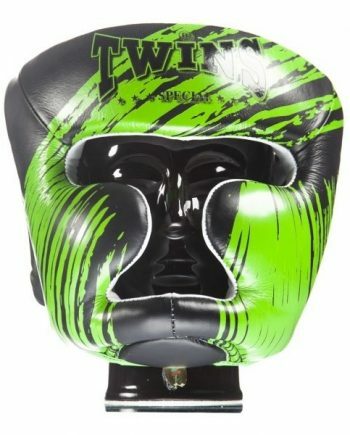 To state the obvious, getting repeatedly punched in the head isn’t healthy. 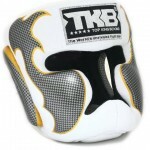 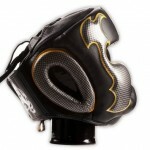 Luckily, these head guards provide excellent protection around the head, ear, cheek and chin area. 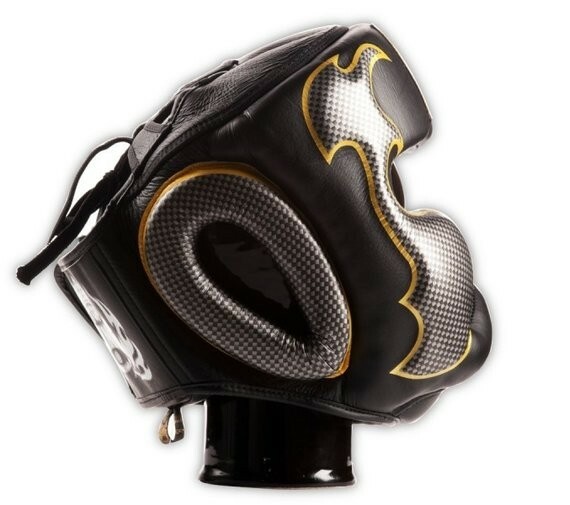 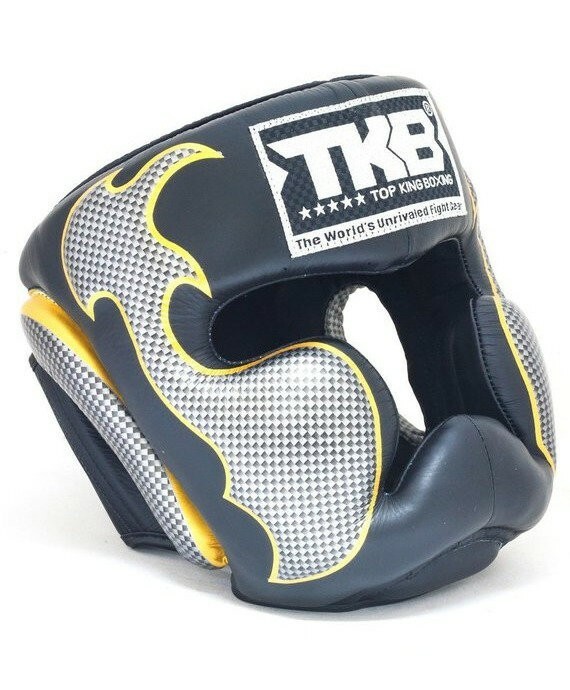 The cheek protectors are positioned in a way that they don’t inhibit your vision of strikes coming at you at an upward angle (such as kicks and uppercuts). 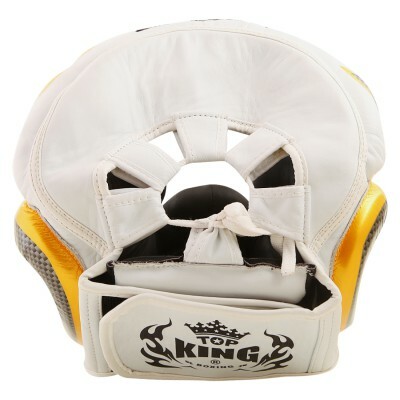 The head gear incorporates both a Velcro and lace up enclosure system to provide a secure fit that prevents shifting when you get hit. 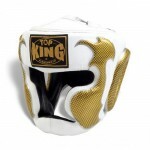 Available in multiple color schemes: white/gold, white/silver, black/gold & black/silver. 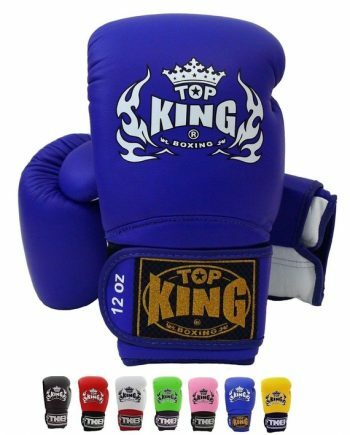 Select your preference from the drop down menu above. 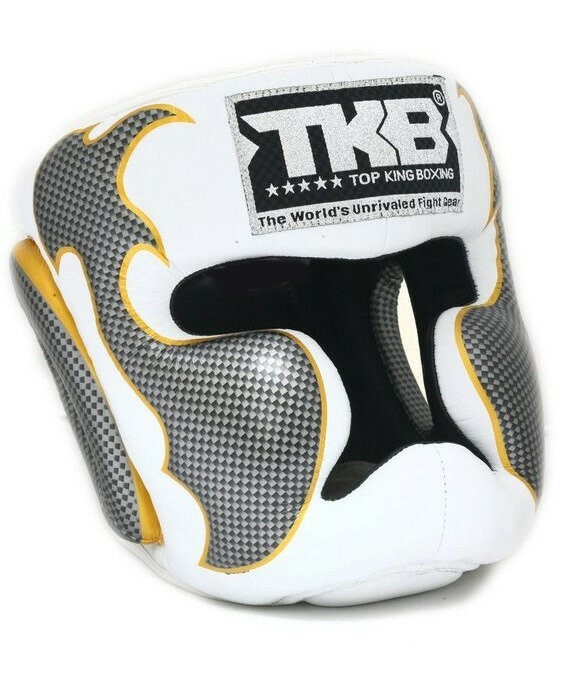 Here’s a sizing reference table..